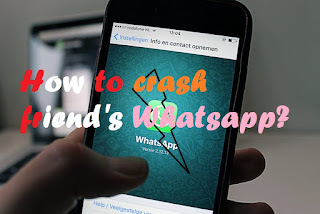 Home» WhatsApp Tricks » [WhatsApp Trick] How to crash a friend's whatsapp by sending a message ? [WhatsApp Trick] How to crash a friend's whatsapp by sending a message ? 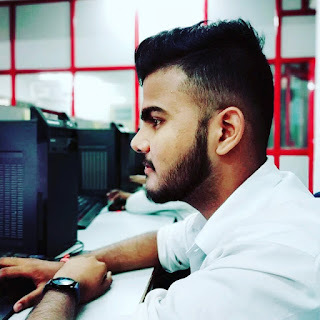 Hello Guys, In this post of today, you know how to crash a friend's whatsapp by sending a message to his friend? Friends, like you know that WhatsApp is a very popular chat application. Nowadays many people chat with their friends, relatives, from whatsapp. Friends, sometimes it happens, you make a message to your friend, and that message accidentally goes to someone else, then what will you do in this way, do not panic, now you are not worried today, which is trick I'm going to tell, it can crash whatsapp by using it, and that person will not even be able to read your messages, because the phone has been hanged. When it will delete your chat history, its whatsapp will be fine. So friends, if you have to crash someone's whatsapp, then read this post to the last. Friends, to use this trick here we will use the Whatsapp Bomber App. So first you know what is WhatsApp bomber app? What is Whatsapp Bomber App? Friends whatsapp bomber is an app from which such texts are generated which if you send through a message to someone's whatsapp account, their whatsapp crash occurs. It is very easy to use, just open whatsapp bomber and copy a text and send it to your friends' inbox as soon as he reads your message, his whatsapp will crash itself. First of all, you must have an internet connected 2G, 3G or 4G smartphone. Both root and unroot will work on Android devices. Whatsapp should be installed, this trick will also work in Gibvahatsapp, WhatsAppSpace and Whatsapp Plus. Step1; First, go to your Phone Settings >Security and enable unknown source. Step2; Now you can download the WhatsApp Bomber App,the download link below. Step4; As soon as lavel chooses, a text will be generated in your clipboard and you can copy it. Step5; Now go to your whatsapp and send it to the copy text you want to crash on the friend's whatsapp. If some friends have done such a prank with you then you do not panic. It is also easy to recover as much as possible to crash, just go to the app settings of your phone and force stop whatsapp. Step1; First go to settings on your phone, and then go to App Settings. Step2; Now search the whatsapp in app setting, and then force stop whatsapp. Step3; Now come back to whatsapp messenger and delete all those messages your friends sent to you. So friends saw how easy you are to crash whatsapp and then recover it again. If you still have trouble doing this trick then you can ask us at the contact us form, we will be happy to answer your questions and one thing If you find this information well, then share it with your friends and social media.